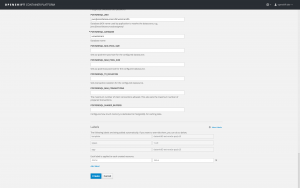 Welcome to part 4 of Red Hat JBoss Data Virtualization (JDV) running on OpenShift. Bringing data from outside to inside the PaaS. Breaking up monolithic data sources virtually for a microservices architecture. 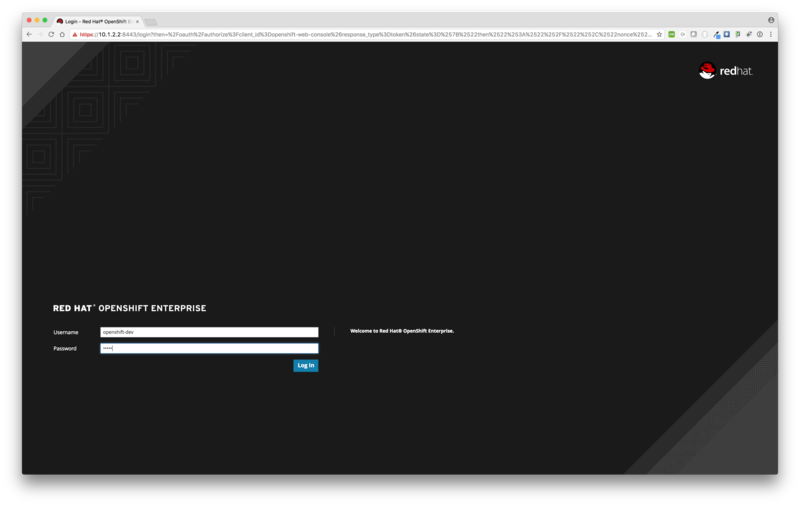 Together with the JDV for OpenShift image, we have made available several OpenShift templates that allow you to test and bootstrap JDV. In part 1, part 2, and part 3 we described how to get started with JDV running on OpenShift, service enable your data using OData, and how to perform data federation from internal datasources with PostgreSQL and MySQL. 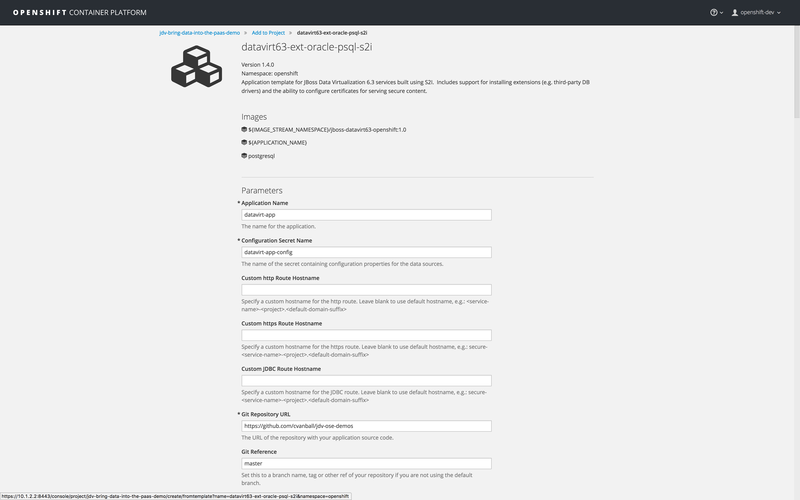 We are now adding an external datasource (Oracle database) bringing data from outside to inside the PaaS. 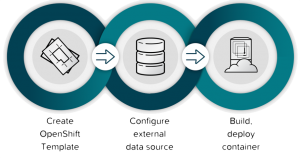 The tasks needed to achieve bringing data from outside to inside the PaaS are depicted in the image below. In this example, we are using an Oracle XE database running inside a VirtualBox environment. The environment is depicted in the following diagram. The OpenShift template (datavirt63-ext-mysql-psql-s2i.json) we were using in part 2 contains the JDV environment with internal data sources only (MySQL and PostgreSQL). 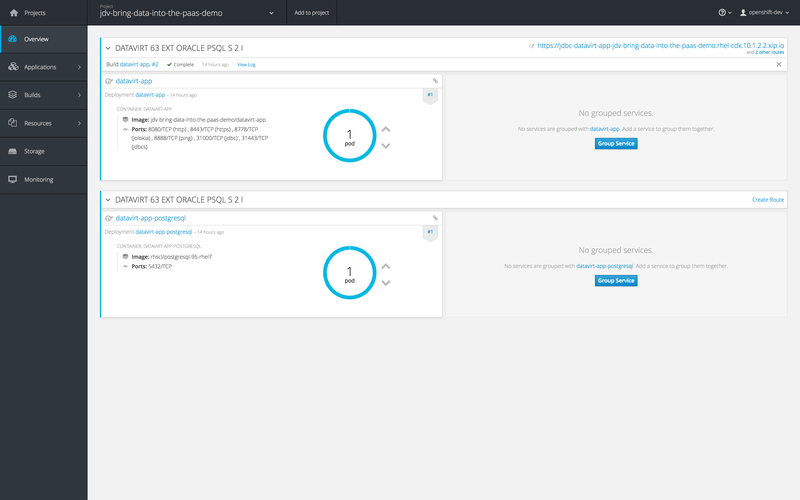 To configure an external Oracle database we’re going to remove the MySQL configuration and use a new OpenShift template (datavirt63-ext-oracle-psql-s2i.json) based on the previous template but now includes configuration of an external Oracle database environment and add it to our OpenShift environment as described below. 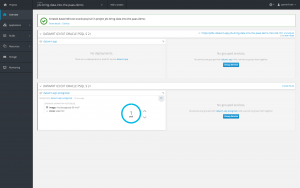 Now using project "openshift" on server "https://127.0.0.1:8443". Files for runtime artifacts are passed to the JDV for OpenShift image using the OpenShift secrets mechanism. This includes the environment files for the datasources and resource adapters, as well as any additional data files. These files need to be present locally so we are able to create OpenShift secrets for them. 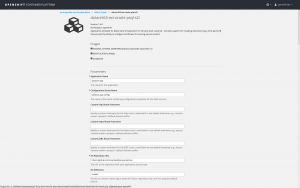 Internal datasources supported by Red Hat JBoss Middleware for OpenShift. These are PostgreSQL, MySQL, and MongoDB. Internal datasources do not require additional environment files to be configured. 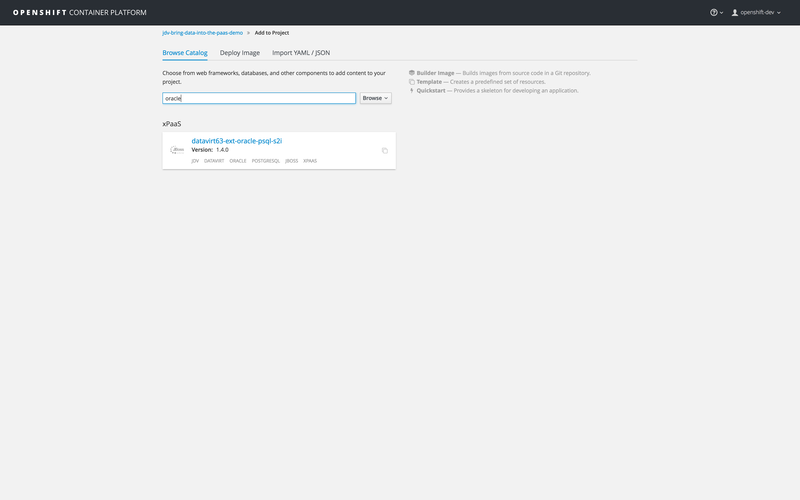 External datasources that do are not supported by default by OpenShift. 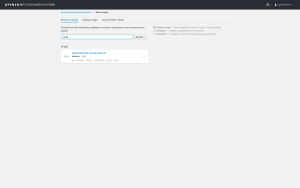 The configuration of external datasources is provided by environment files added to OpenShift Secrets. Since we are now using an external datasource using an Oracle Database, we have to configure the external datasources in the datasources.properties file, configure the install.properties for the Oracle driver and the JBoss module for Oracle. 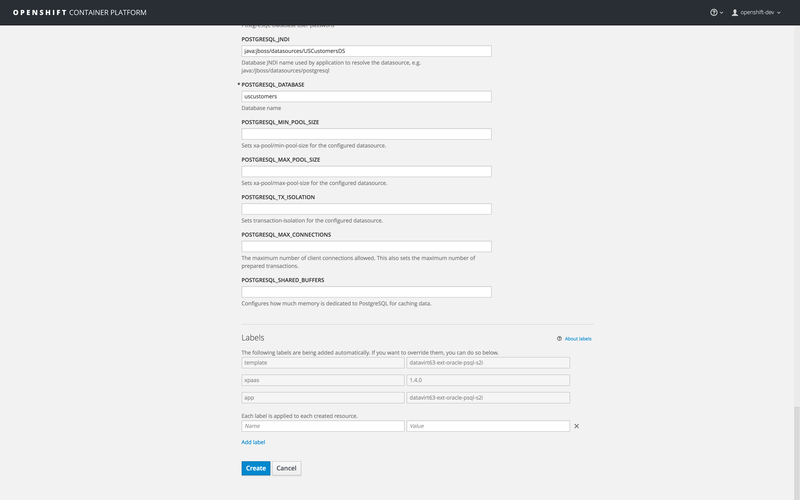 Configure install.sh to include the modules for the external data source. Configure install.properties to install Oracle driver as shown below. A JBoss module is a logical grouping of classes used for class loading and dependency management. JBoss modules are defined in the EAP_HOME/modules/ directory of the application server. Each JBoss module exists as a subdirectory, for example, EAP_HOME/modules/com/oracle/. 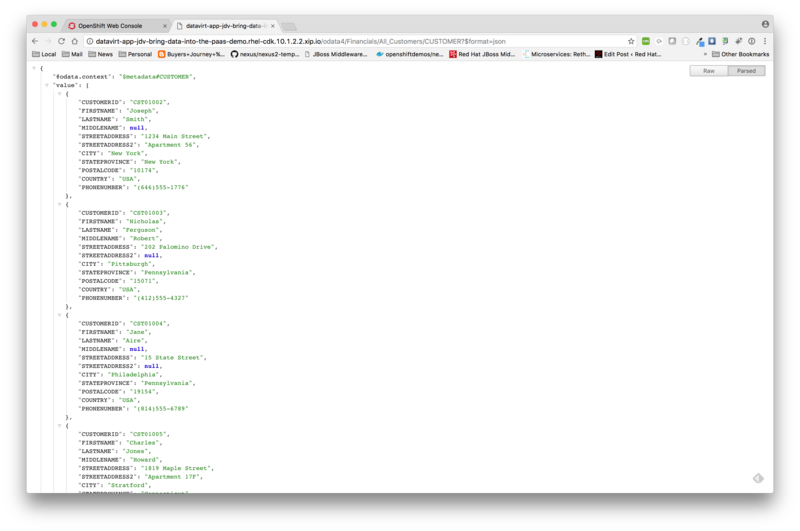 Each module directory then contains a slot subdirectory, which defaults to main and contains the module.xml (see below) configuration file and any required JAR files, in this case, ojdbc6.jar. Configure data source configuration in datasources.properties to include the external data source as shown below. 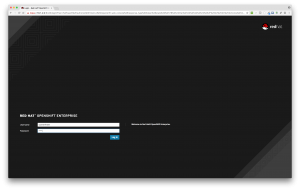 Log into the OpenShift web console with username “openshift-dev” and password “devel”. 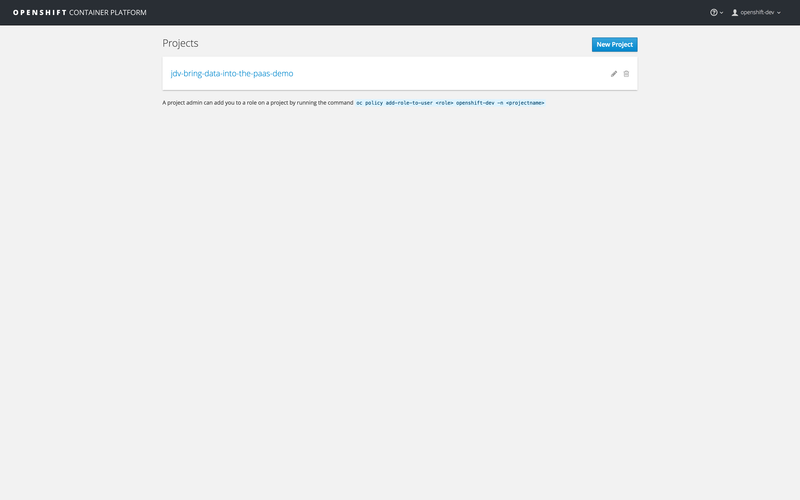 Now we need to attach the new OpenShift template to our project. You should see project jdv-bring-data-into-the-paas-demo in the project list. Click the Add to project button and search for template oracle. Since we have configured the template datavirt63-ext-oracle-psql-s2i, there’s no need to change any of the template variables. We can now proceed by clicking the Create button to start the build and deployment process of the PostgreSQL and JDV pods. The PostgreSQL pod will be created first, JDV will then be built and deployed. If the build and deployment are successful, you should see similar results as depicted in the image below. Access the federated view model, All_Customers.CUSTOMER by using OData. For your convenience, we provide a shell script called jdv-ocp-setup.sh, to run the above setup completely from the command line. 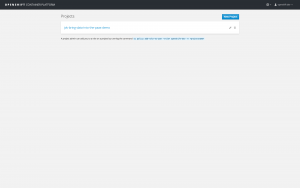 In just a few clicks, we created a new OpenShift project, added a JDV and PostgreSQL database environment, and connected to an external Oracle datasource using a ready to go OpenShift template. We populated the two databases with schemas, tables, and customer data. The Financials VDB were deployed bringing customer data from outside to inside the PaaS and access the federated model, All_Customers.CUSTOMER, using OData-based REST provided out-of-the-box service by running JDV on OpenShift. You can get additional information at Red Hat JBoss Data Virtualization, a data supply, and integration solution.